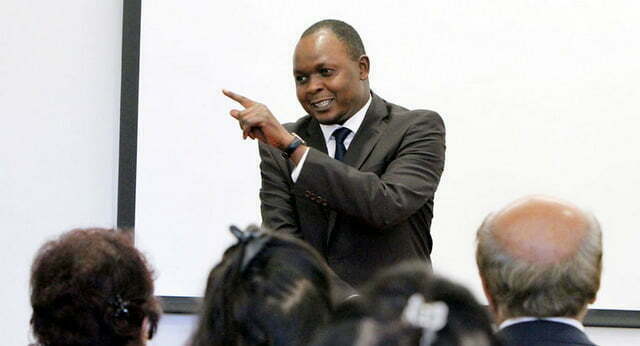 The Democratic Party (DP) President Norbert Mao. Courtesy Photo. To which monarch will our President Mao prostrate? Immediately after the returning officer announced the victory of DP’s Matia Nsubuga Birekerawo, DP stalwarts broke into a spirited ‘Ekityiibwa kya Buganda,’ to the consternation of detached observers. Consternation? Yes! The Democratic Party (DP) was celebrating the Kabaka’s distressingly narrow victory over one of his loyal, even if headstrong subjects, Hon John Chrysostom Alintuma Nsambu. Throwing caution and etiquette to the winds, our Green and White Monsoon Winds ignored the alarming fact that over 10,000 citizens of Bukoto South had voted Nsambu. Few if any of these 10,000 voters actually voted against the Kabaka; they just love Nsambu more than they love Nsubuga. And they were convinced that Kabaka Ronald Mutebi was not one of the candidates, but DP could not permit them this happiness! Incidentally, At least 59 other Bukoto South citizens voted for the FDC candidate instead of ‘Kabaka Birekerawo’ and might have to account to the ‘DP Throne’ for their impertinence. 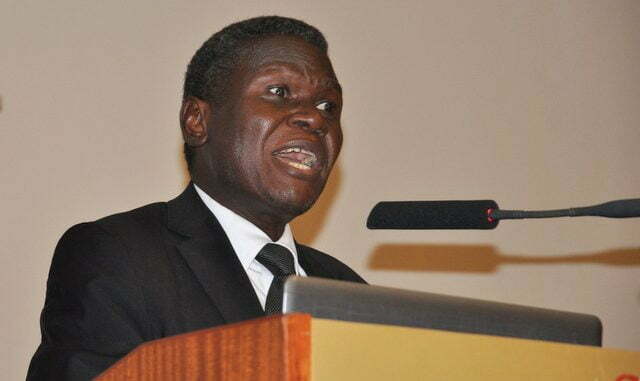 This 1,400 vote victory must make DP happy, but if it is a Buganda victory, woe betides! 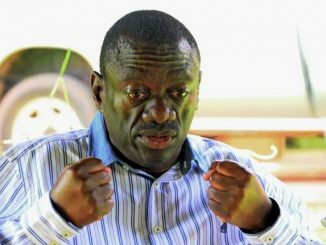 A day before the Bukoto by-election, I wrote in The Red Pepper; “Whether John Chrysostom Alintuma Nsambu wins in Bukoto South or not is no longer the issue; the fact is that any votes he gets will make him a very powerful Losing Winner. The Democratic Party (DP)’s, Mathias Nsubuga Birekeraawo. Courtesy Photo. I added, “As a peace-loving NRM, I will not mind my Nsambu losing to DP’s Nsubuga as long as DP and Nsubuga do not go on to claim that my Nsambu lost to the Kabaka. I want to insist that the Kabaka has no stake in this by-election as some would have us believe. I am convinced that no king can run for election against any of his loyal subjects; but the political witches cannot see the danger. After the Mukono North by-election which Rev. Peter Bakaluba Mukasa lost to Betty Bakireke Nambooze, the winners declared that Kabaka had defeated Bakaluba. I however warned that if Rev. Peter had known that Kabaka was in the race he would have stepped down instantly. But they persisted until I alerted them to the ignominious fact that Kabaka (actually Nambooze) had beaten Bakaluba by only 2,000 votes; they withdrew in a hurry! The mood that the political witches have created in Lwengo simply means that even if Nsambu loses the election it will be because he was contesting against a titan. It means that any votes he gets will have been cast in rejection of the throne and I think it will be the duty of the political witches to identify whoever voted ‘so unwisely’ for appropriate punitive action. On the other hand, even if Nsambu won, he would not enjoy his victory since it would be a defeat for his cultural sovereign. Therefore, whatever happens in Bukoto South must lay the foundation for keeping our Kabaka out of these bare-knuckle brawls. But whatever happens now, John Chrysostom Alintuma Nsambu will emerge THE LOSING WINNER. 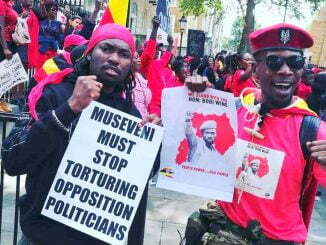 However, the winner whose victory will inevitably stick in its throat is Uganda’s oldest surviving political party. Not historically known to be monarchist, the Democratic Party recently divined that its surest path to power had to be based on monarchism, first via ‘Namulondo’ and IF NECESSARY, elsewhere. DP will find its first minefield in identifying which king precedes all other kings in this new party of kings. DP’s second minefield will be in areas that have no kings, where DP will find it imperative to create some. DP’s third minefield will be in how to relate to areas that have no kings and abhor rule by birth. Will these be classed as ‘primitive’ in DP’s ratings? Whatever answer DP offers to these questions will be a double-edged sword. Does DP know that traditional rulers are actually registered voters like other Ugandans and enjoy the benefits of the secret ballot? Has DP or other similarly inclined parties ever wondered why no traditional ruler except Kabaka features in elections? Did Hon Norbert Mao ever invoke the Rwot’s name against his opponents to defeat them in Gulu? Were it so, it would mean that to Rwot David Onen Acana II some Acholi are MORE EQUAL than others. Hon Birekerawo’s landslide (1,400!) victory against Hon Nsambu sent very powerful signals to politicians who have adopted ‘Namulondo’ in ballot box affairs. My friend Moses Kanaala who intends to replace Hon. Robert Kasule as MP for Kyaddondo North has pleaded with Mengo to bless him. Speaking on Buyondo Africka Ddamulira’s popular ‘Kwata mu Muliro’ show last week, Kanaala hailed the Bukoto South result as a major show of ‘Namulondo Power’, rather than DP to which he belongs. To him the possibility that Birekerawo won because he is DP is too remote in comparison to winning as the ‘Namulondo’ candidate. Apart from ‘Namulondo’ not being a political party, one wonders whether the FDC candidate who bagged 59 and the independent who got 0 had also joined Hon Nsambu in allegedly insulting Kabaka. Or were they deemed less loyal to ‘Namulondo’ by using DP/Birekerawo as the yardstick? Hmmm! Did I tell you that Kanaala is a Munyankole/Mwiru monarchist from Bukanga? Admirers now describe him as the Nambooze of Ankole because of his crusade for the restoration of Obugabe. Although Hon Nambooze did nothing to restore ‘Namulondo’, her love for it is not in doubt. But like all Republican Monarchists, Hajji Kanaala will find himself leading a dual political life. The Kanaala campaigning in Bukanga will not be the Kanaala prostrating in Matugga and since he won’t hold secret rallies, the media will show the two-in-one Kanaala to the world. And Kanaala is just one example of what the Democratic Party will suffer if it ever dares to seek votes throughout the Republic of Uganda. But the day of reckoning will be when kings who have been inveigled into DP begin directing DP leaders on what they want done. I can visualise a king ordering ‘President Mao’ to hand over revenues from an international airport as another directs what percentage oil money will go to the rest of Uganda and yet another threatening to close Owen Falls Dam or Karuma Dam if so and so are not appointed ministers!!! 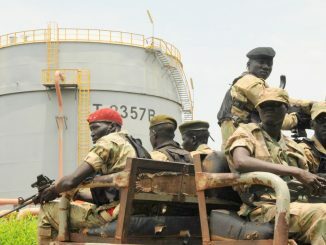 Having received these orders, I can see President Mao (or any other unfortunate) reminding the kings that he (or she) is the “Commander in Chief of the Armed Forces and that for the sake of Uganda, such outrageous demands will not be tolerated…” Then the inevitable clash of the titans will take place and the lucky survivors will sift through the ashes. Do not say I never warned you!